To compose a new message, follow the steps given below. 2. Click the New Message button. The screen to compose new message will be displayed. 3. Click the Browse ( ) button in the To field to add recipient’s email ids. Existing groups and individual users’ page will be displayed. 4. Select the recipient’s by checking the required boxes in the Individuals and Groups sections. The selected recipients email ids will be added to the To field. 6. 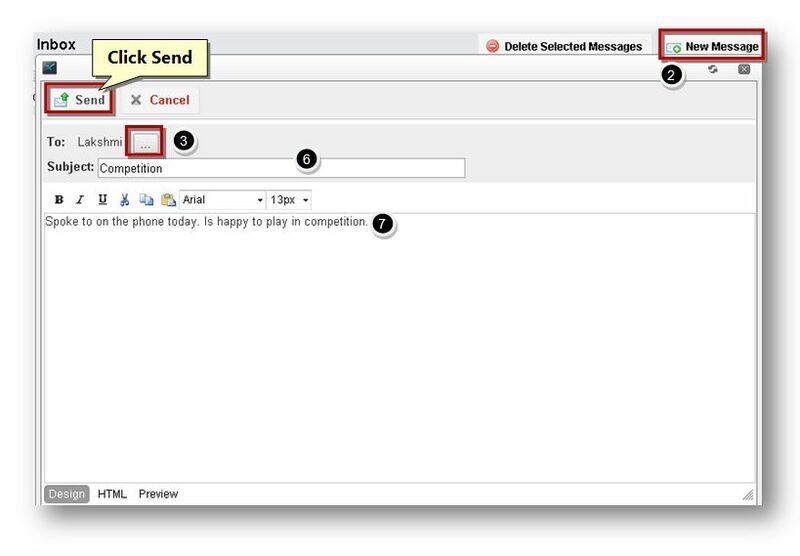 Enter the subject for sending email in the Subject text entry box. 7. Enter the message for the recipient in the Text field. The message will be sent to the selected recipients.